Everyone needs a calendar, to mark those all-important special occasions and appointments, and Christmas is the most popular time to start planning for the year ahead. The Calendar Club specialises in retailing calendars and related merchandise during the busy Christmas season. It boasts an extensive range of calendar products, with up to 1500 available for every taste, lifestyle and interest, from kittens to cars. Calendar Club shops are a common sight in shopping centres and high streets across the country from the end of September right through until January. 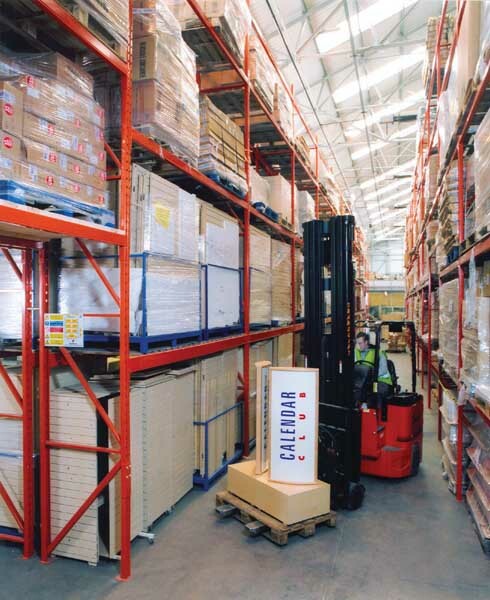 With so many outlets to supply, it is not surprising that its main distribution centre in Exeter is forever growing. Due to business expansion, the Calendar Club purchased a new warehouse for the relocation of its fixtures and fittings department. 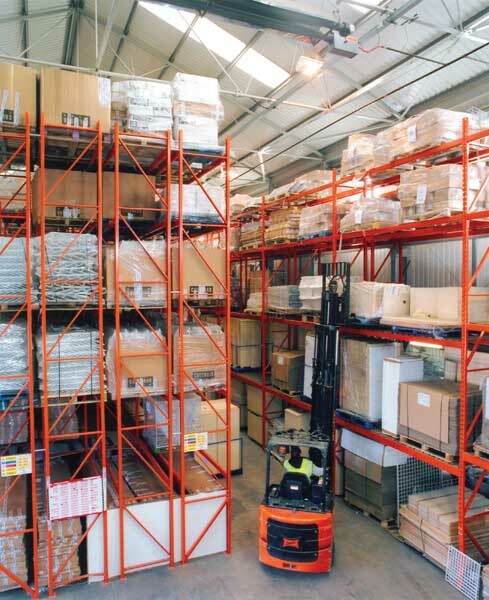 To increase space and improve efficiency in the new warehouse, it turned to Redirack for a racking solution. 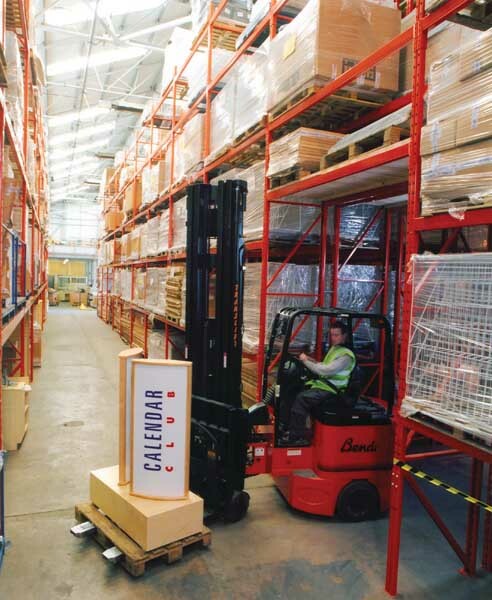 This is the first time the Calendar Club has had such a large racking system. In total 1768 pallets can be stored in the new double deep storage system, which holds all the company’s shop fittings and fixtures, until they are required for the following season. These are accessed by double deep narrow-aisle Bendi trucks. 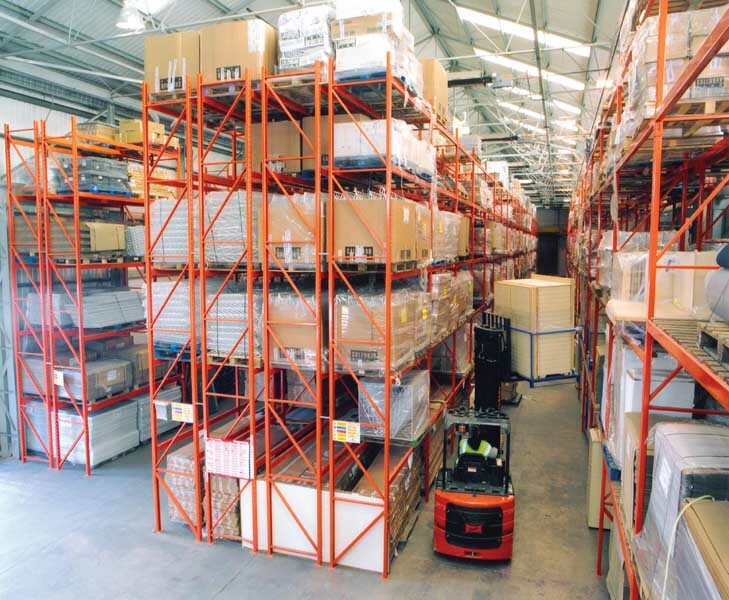 One of the main benefits of the new racking system is that for the first time, all the company’s fixtures and fittings are stored in one location. This has saved time and improved the efficiency of getting them to the stores when required.